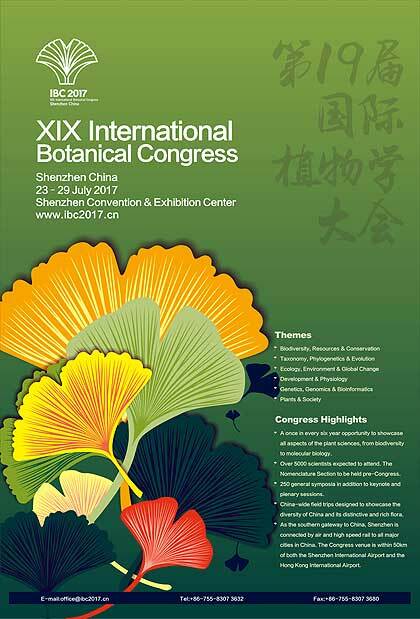 Ginkgo leaves on poster of the XIX International Botanical Congress (read more IBC 2017). The congress will take place from July 23-29 in Shenzhen, China. It is an international meeting bringing together scientists from around the world to discuss new research in the plant sciences, held once every six years. Ginkgo is the national tree of China. Download the poster in large format here.